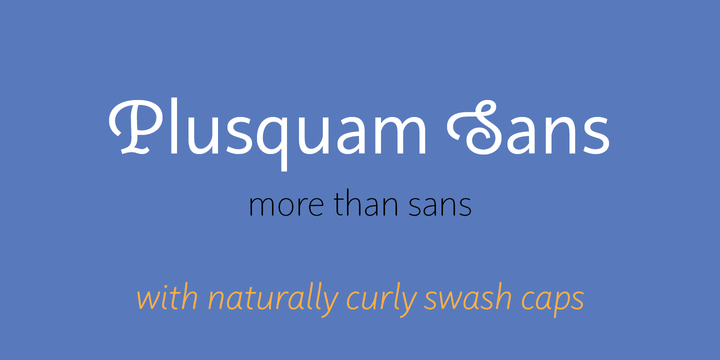 Plusquam Sans is a sans serif typeface witha humanistic touch created by Olivera Stojadinovic and published by Typolis which is available in 8 weights (from Thin to Black) and true italics. It contains a wide range of OpenType features and a set of alternates for softer look. Also it has Latin & Greek language support. It merge well in smiller sizes, ideal for typographic purpose. Have fun! Price: starting from $40,00 for one font to $320,00 for all 16 fonts. A font description published on Tuesday, July 4th, 2017 in Fonts, Olivera stojadinovic, Typolis by Alexandra that has 3,120 views.